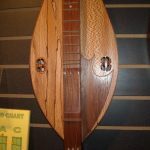 The Springfield Dulcimer Club meets on the first Thursday of every month from 7:00 – 9:00 PM at the Northminster Presbyterian Church, 400 Villa Road, Springfield, Ohio. (45503) Please enter the prior address in Google Maps for directions, or obtain detailed door to door driving directions HERE. Tom Kochan is the leader of our jam. 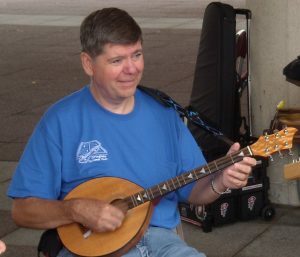 As leader, Tom assists the members of the club in song selection, keeps the tempo, and gifts us with treasures of information about songs, composers, and other wonderful trivia about the area. 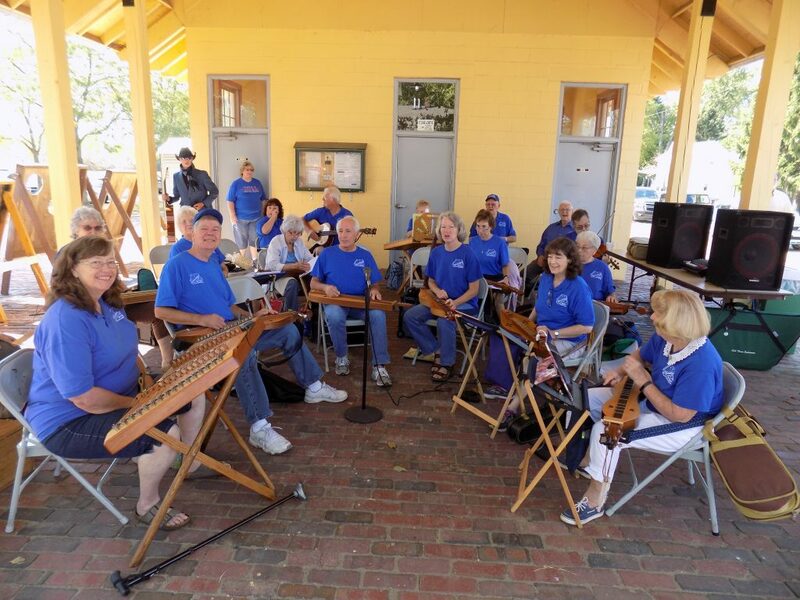 Shelley Stevens, our resident instructor, gives free beginners Mountain Dulcimer lessons before the meeting, beginning at 6:15 PM. 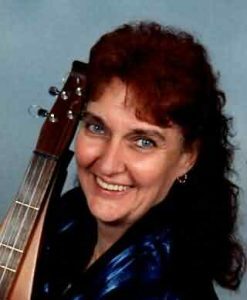 Shelley is a nationally known Dulcimer recording artist & instructor. 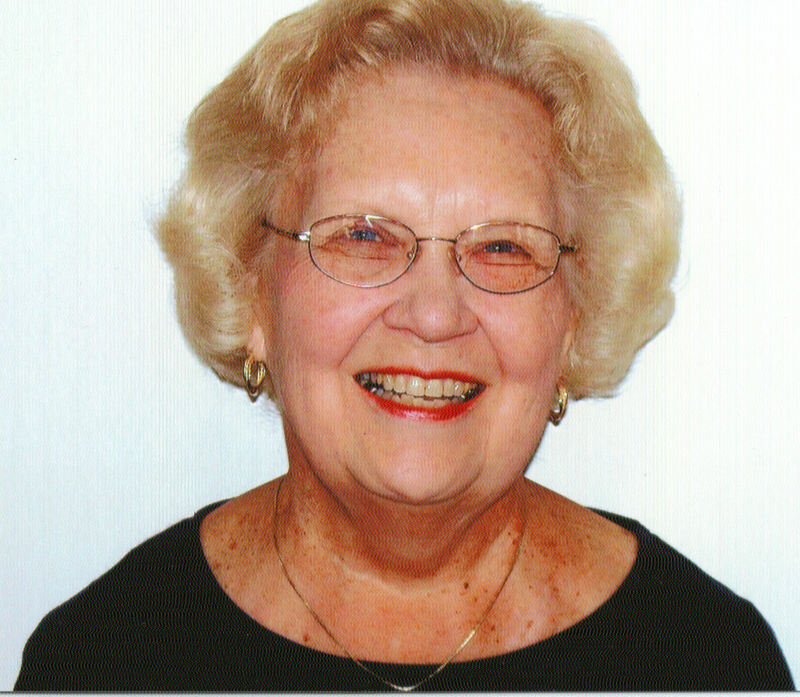 She also is available to give private lessons to select individuals as her schedule permits. 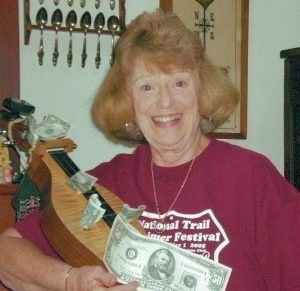 Mary Nave is our club treasurer and tightly holds the purse strings to our bank account. Judging from the size of the money she’s holding in the photo at the top right, our treasury has gotten bigger, or at least the size of the money has inflated.